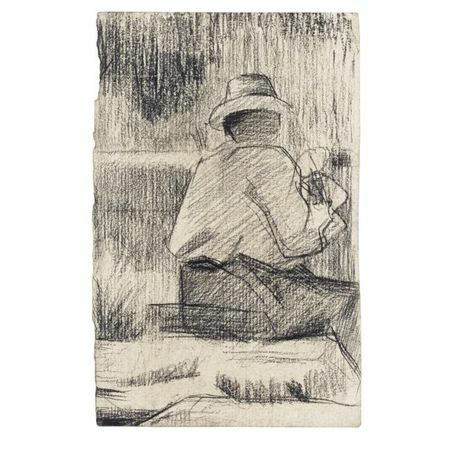 PARIS.- Two exceptional drawings by Georges Seurat, consigned from a private Parisian collector, will head the Impressionist Modern Art sale at Sotheby's in Paris on May 28. After the record €5 million ($6.3 million) achieved by Seurat's extraordinary drawing Au Divan japonais last December, Sotheby’s Paris will again highlight Seurat's work by offering two exceptional drawings from a prestigious Paris private collection: Femme avec Deux Fillettes, 1882-84 (est. 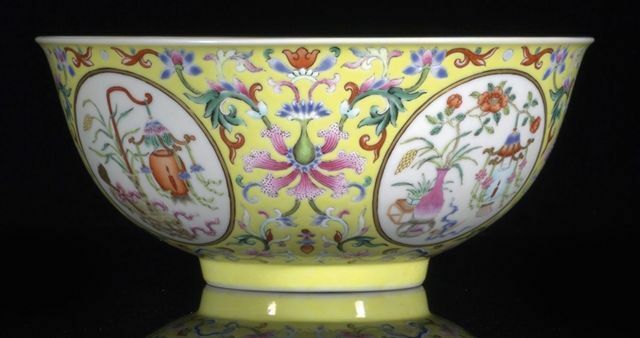 €1-1.5 million/$1.3-2 million) and Assis, 1881 (est. €100,000-150,000/$133.000-200.000). 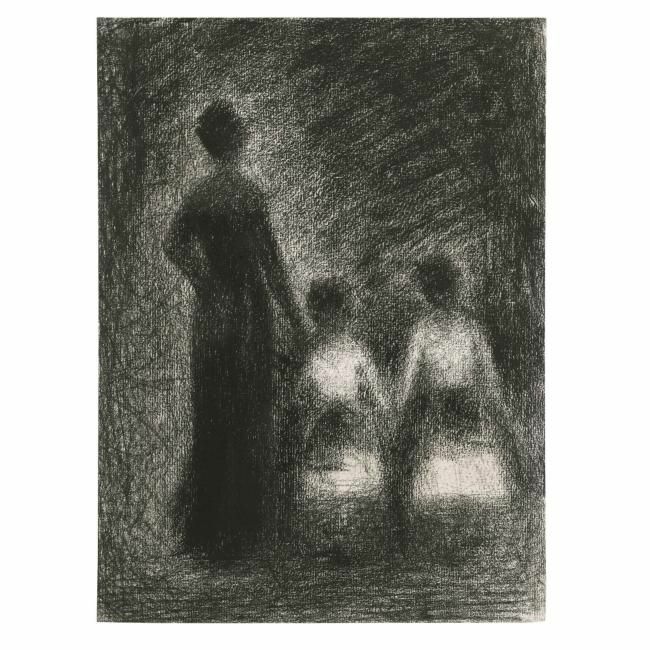 With its play of light and shadow, Femme avec deux fillettes (Woman with Two Girls) is one of the finest drawings from Seurat's artistic maturity. The contrast of black and white, achieved using his preferred Conté crayon, is mutually reinforced to create a luminous halo around the figures – an effect Seurat referred to as irradiation. A written note from the artist's family, kept along with the drawing, identifies the figures as Madame Adrien Appert and her two daughters (Adrien Appert was the brother of Léon Appert, the husband of Seurat's elder sister). 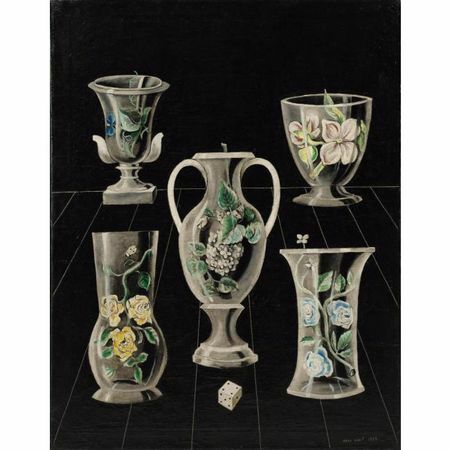 The drawing remained in the Appert family until 1990. It was shown at the major Seurat retrospective organized by the Art Institute of Chicago in Chicago and New York in 1958, and at the exhibition Georges Seurat - The Drawings staged at New York's Museum of Modern Art in 2007. The sale also includes an important section devoted to Surrealism, led by Francis Picabia's Venus & Adonis (c. 1925-27), which has remained in the same Italian collection for nearly 30 years. 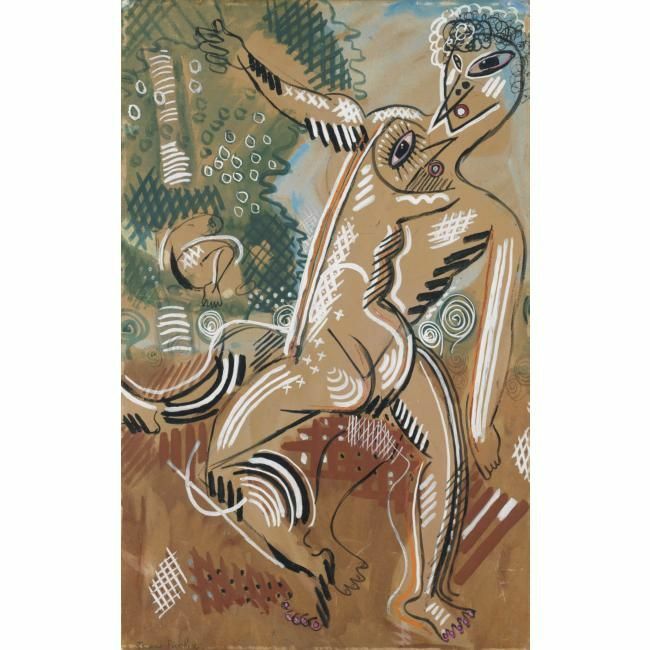 Between 1924 and 1927 Picabia painted a cycle of works known as his "Monsters" series, looking back to the Old Master themes he loved to explore. Venus & Adonis is inspired by Titian's masterpiece of the same subject (est. €400,000-600,000/$535.000-800.000). 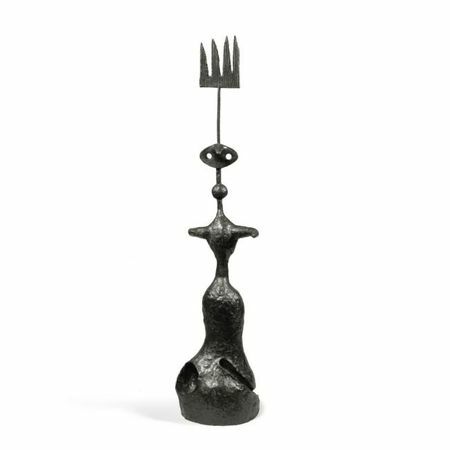 Sotheby’s will also offer Man Ray's emblematic sculpture Vénus Restaurée, the first time a version has appeared on the market since 2000 (est. €300,000-500,000/$399.000-665.000). This perfect embodiment of the subversive humour of Dada and Surrealism is one of the most sought-after Surrealist sculptures among collectors of modern and contemporary art. Other highlights include Jean Arp's Fleur-Marteau – Formes Terrestres (est. 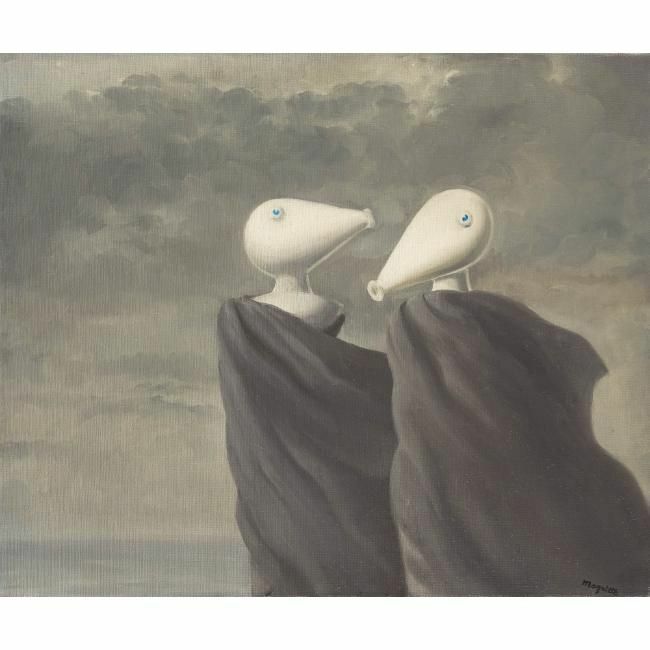 €180,000-250,000/$240.000-333.000); René Magritte's Le Colloque Sentimental, formerly in the collection of Paul Eluard (est. €250,000-350,000/$333.000-466.000); two pictures by Max Ernst, including L'Intérieur de la vue from 1922 (est. 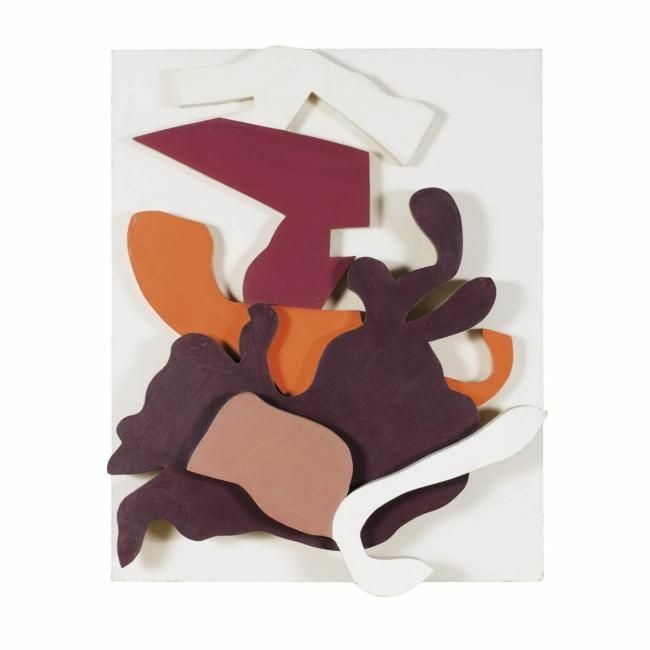 €150,000-200,000/$200.000-266.000); a Joan Miró sculpture, Projet pour un monument pour la ville de Barcelone (est. 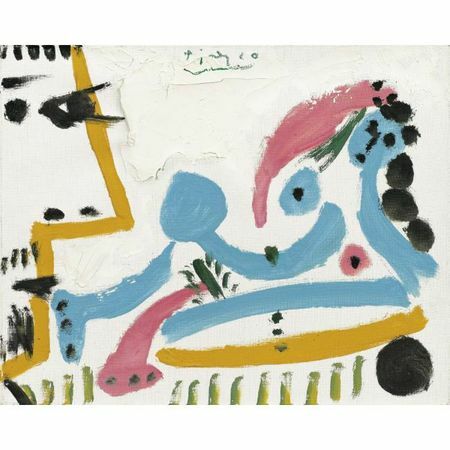 €300,000-400,000/$399.000-535.000); and a very rare Surrealist composition by Pablo Picasso, painted in Dinard in 1929 and portraying his muse and lover Marie-Thérèse Walter on the beach (Femme au Ballon, est. €200,000-300,000/$266.000-399.000). Along with the Seurat drawings, the sale's other leading highlight promises to be Pablo Picasso's Nu allongé et tête d'homme de profil (1965). Picasso regularly returned to the "Painter & Model" theme with such passion that it became "a genre in its own right," according to Michel Leiris. Here, Picasso gives full rein to his creative virtuosity, achieving maximum sensuality with the simplest of means: his looming visage to the left eyes Jacqueline as she reclines like some languid, Ingres-style odalisque. The limited colour range – essentially turquoise, pink, yellow, white and black – suggests a fusion of drawing and colour in pursuit of total, syncretized art where "drawing and colour are one and the same" (est. €600,000-800,000/$800.000-1.070.000). 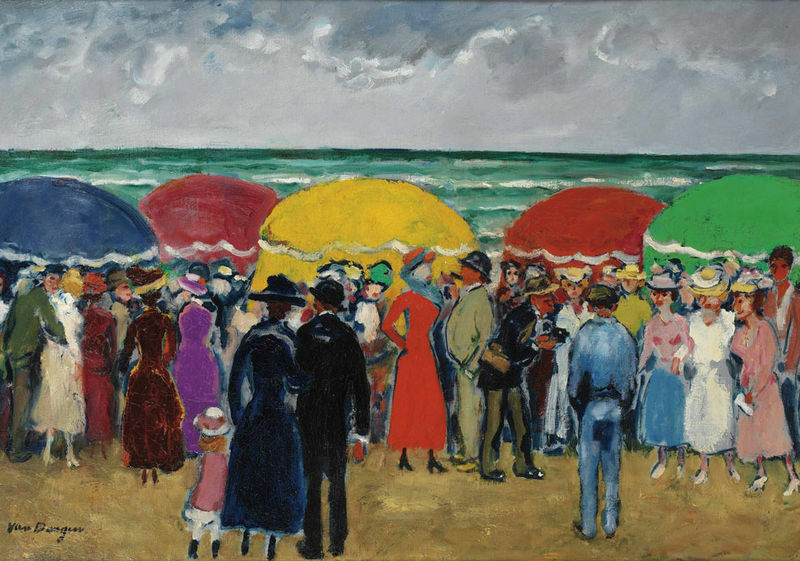 This brilliant Deauville beach scene reflects both Van Dongen's talent as a colourist, apparent since his Fauve years, and the zestful irony of a painter regarded as the era's leading exponent of society portraiture. In a composition recalling Boudin's views of seaside elegance, Van Dongen assembles a compact, lively crowd of Sunday strollers, children and women parading in front of colourful bathing huts in their fashionable hats and long, shimmering dresses, beneath an ominous sky painted with admirable menace: a rainbow of joie de vivre before the impending storm. No doubt Van Dongen is teasing the viewer by depicting himself as the photographer right of centre (est. €600,000-800,000/$800.000-1.070.000). The sale also includes Kees van Dongen's Baigneuse au turban jaune, painted around 1920 (est. €200,000-300,000/$266.000-399.000). Léon Spilliaert's international reputation as one of the most gifted and original artists of his generation is now firmly established, notably after the major exhibitions devoted to his work in Brussels (Musées Royaux des Beaux-Arts) in 2006 and Paris (his extraordinary Self Portraits at the Musée d’Orsay) in 2007. 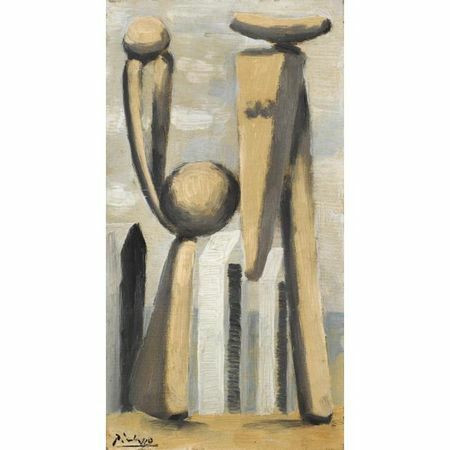 With his silent, feverish, hard-to-classify visions, Spillaert occupies a unique status at the crossroads of Symbolism, Expressionism, Futurism and Surrealism. 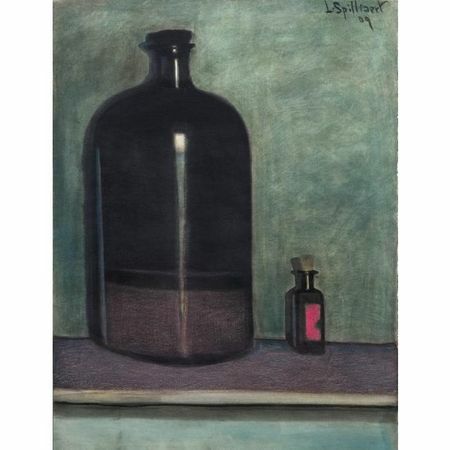 "Spilliaert was never more productive than in 1907 and 1908, two particularly intense years. The quantity of drawings and paintings completed during this period is astonishing: dozens of works which all burn with a strange fever. 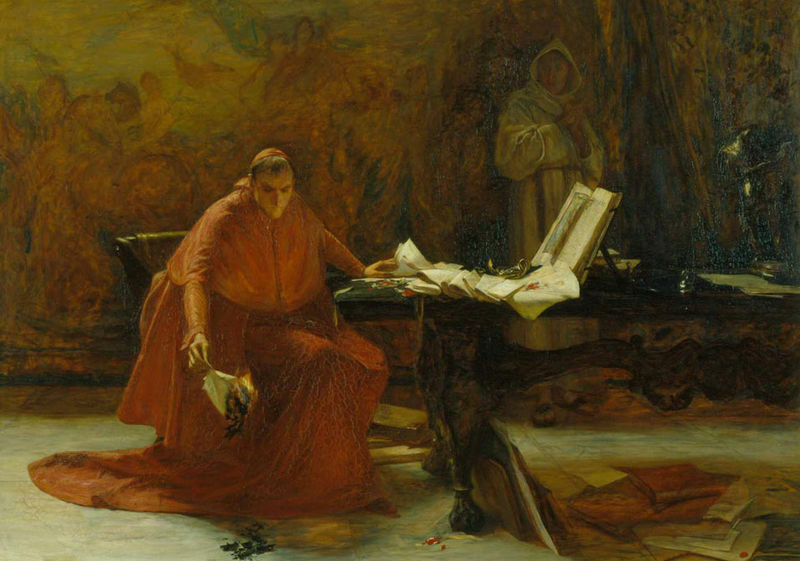 Not only self-portraits but also seascapes, views of dykes and interiors. If Spilliaert had only worked for those two years, his legacy would be no less assured" (Bernard Dewulf in the Léon Spilliaert – A Free Spirit exhibition catalogue, Brussels 2006). 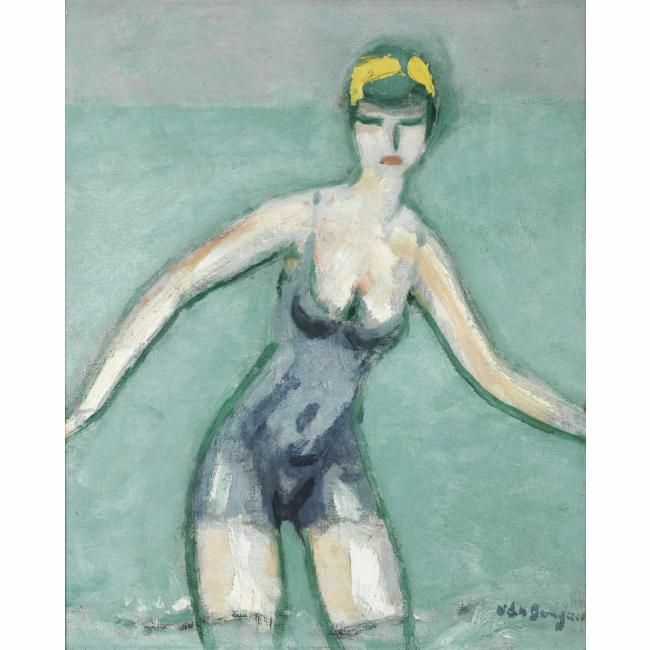 Two works shown at this Brussels retrospective – Femme de Pêcheur sur un Ponton (est. €100,000–150,000/$133.000-200.000) and Grand Flacon, Petite Bouteille (est. 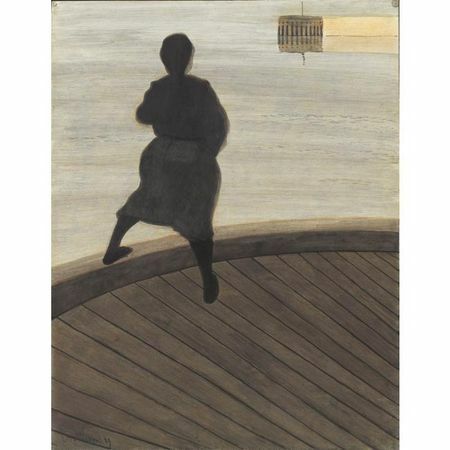 €150,000-200,000/$200.000-333.000) – reflect Léon Spilliaert's artistic maturity and technical refinement during what was arguably the most dazzling period of his career.